The Midnight Library by Kazuno Kohara | What is ML Reading? 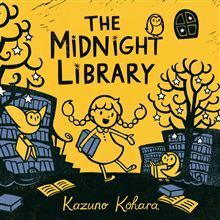 This entry was posted in Picture Book and tagged Kazuna Kohara, The Midnight Library by mlreads. Bookmark the permalink. Happy new year! Looking forward to your wonderful recommendations in 2015!